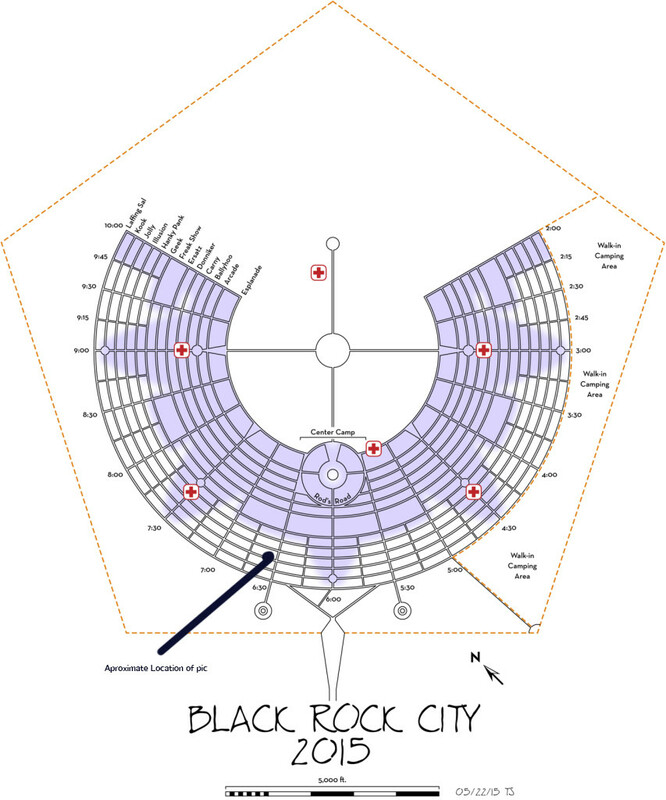 Since I’ve returned from Burning Man I’ve been trying to explain the scope and size of Black Rock City which lasts for a little over a week in the Black Rock Desert once a year. For those of you who know the BRC layout this was somewhere about 6:30 and J streets. For those of you who that makes no sense, it just means it was not far from the center-back of the city as you looked towards the man who occupied the center of the City about 1/2 miles from any of the camping area. All-in-all the city is about 7.4 sq. miles with another numerous miles of open playa dotted with art installations and art cars cruising about. When I wrote in a previous post that I probably saw about 30-percent of Burning Man, I was probably off. Upon reflection, it was probably less than 20-percent. As I climbed don from the structure a small girl of about six was trapped in a hammock. “Can you help me out?” she in her slightly squeaky child’s voice. I looked around thinking about what might be the thoughts of any adult around that sees a stranger grabbing a kid out of a hammock. “”Sure dear,” I said as I grabber her under her armpits and lifted out of the enveloping pink nylon hammock. I place her on the ground as she scampered off. Ten feet away her dad was feeding a toddler Gerber baby food and probably didn’t even notice me helping out. “Is that you boy up on the scaffolding?” I asked. “We’ll thanks for the view. Enjoy the burn,” and I was off.